You can still email me at: bake@buttercup-bakeshoppe.com although I am planning an overhaul of the website sometime in the new year! 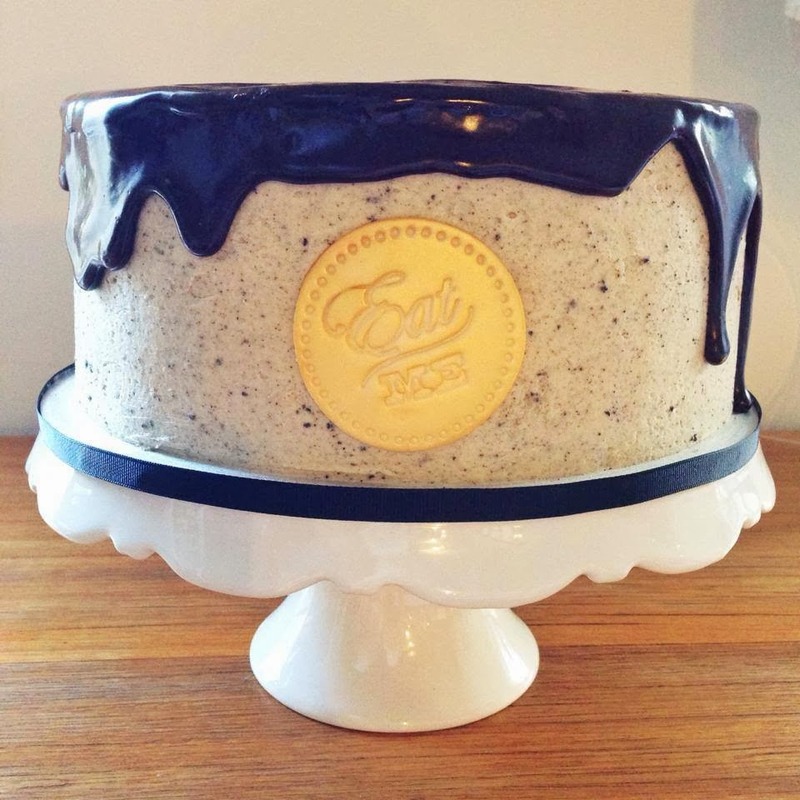 It's been a tremendous year busy baking! It's been a year since my last post! OMG!! My new little mister - Adam - who's turning 8 weeks old tomorrow! 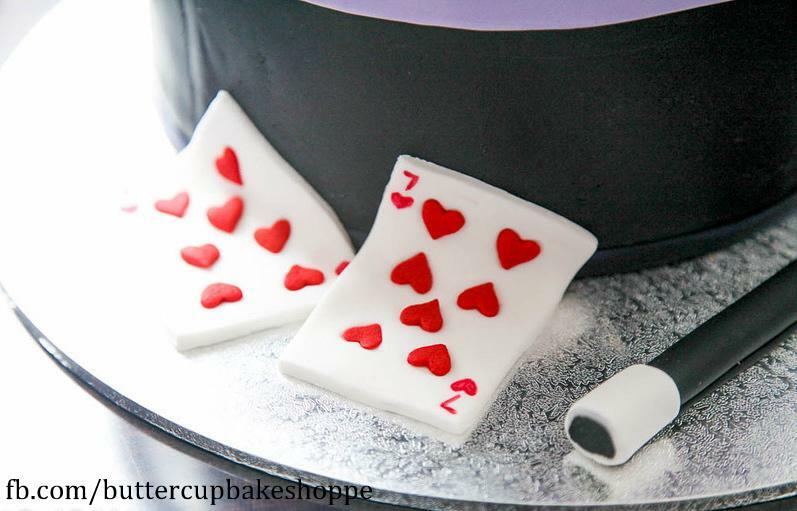 But here are some piccies of cakes. 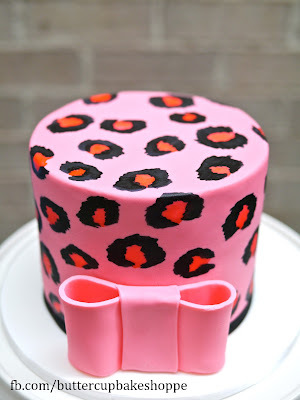 I love making sugar models! A black-and-white version of pupcakes! Hehe I thought I was being pretty witty. 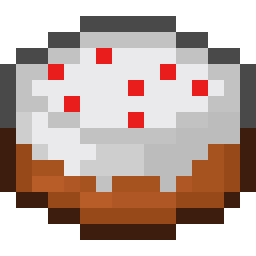 For more of my baking adventures you can follow my Facebook page, where I post all the stuff I bake, cake or not! Over the weekend I got to make one of perennial favourites - my drippy ganache cake! 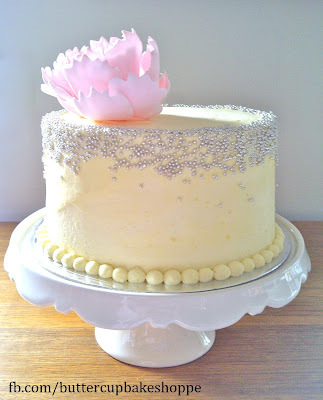 I made this as a birthday pressie for a friend's 30th birthday, along with a couple of mini cupcakes, and it really made my day to see people demolish it ;) Nothing makes a baker or a cook happier than seeing people enjoy the fruits of our labour. I made the medallion out of fondant, stamped it with a stamp I got awhile ago, and sprayed it with gold lustre. Simple but oh-so-effective! 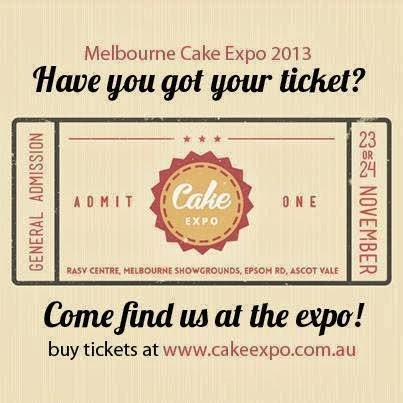 In other news, I'll be showing and selling at the Melbourne Cake Expo in November with Peek Sweets!! Oh Hello! Market days are here again! 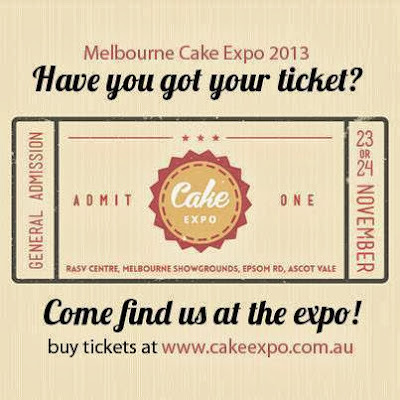 And for dear readers of this blog (and fans of our Facebook page - have you "Liked" us yet?) use the code "BBPROMO" and get a discount off your ticket! And kids already go for FREE!! If you've been following me on Facebook and Instagram, you probably know I've been away in the last month to lovely grand amazing ol' Paree. Sigh. The food, the wine, the cheeses and the pastries were all to die for! And we went on the most gorgeous day possible...sunshine, blue skies, green grass. France was really turning it on for us in the 2 weeks we were there! First order of business: Visiting Laduree! I was pretty skeptical as I'd tried the ones from Sydney which were really sweet. But these really were quite amazing. Not too sweet, full of flavour. 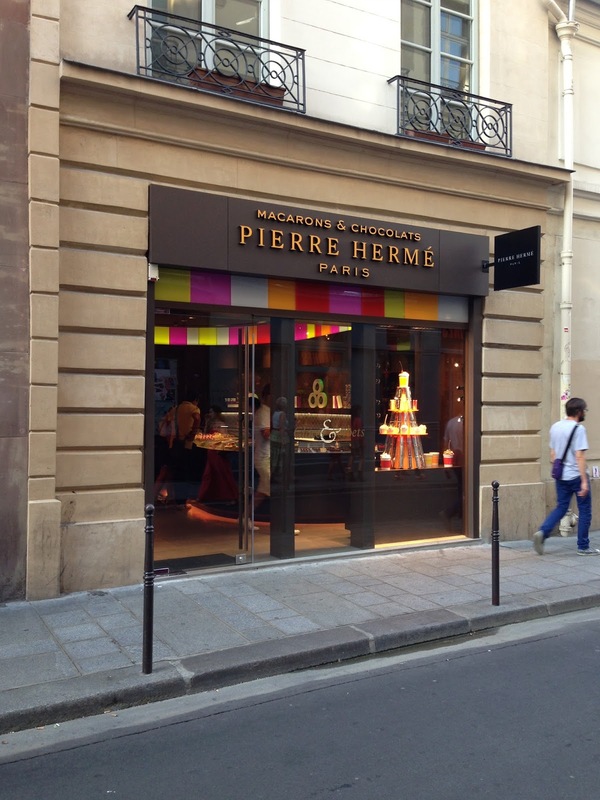 And the competition - Pierre Herme! They had macarons with interesting flavour twists, like Yogurt & Banana, and Jasmine Flower. By the end of the week I was reaaaally macaron-ed out! Kicking off with a 30th birthday cake I made awhile ago for a good mate of mine. 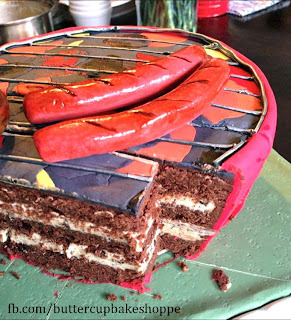 He's a proper Aussie bloke, so I thought this BBQ cake might suit him! The BBQ "meat" were all made out of fondant. I'm pretty pleased with how the colour turned out! 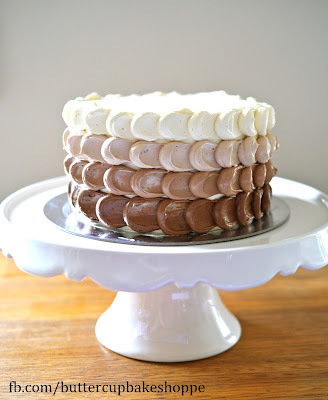 The silver "grill" is edible too! like they've been oiled for grilling! Here's a pic of the inside of the cake. 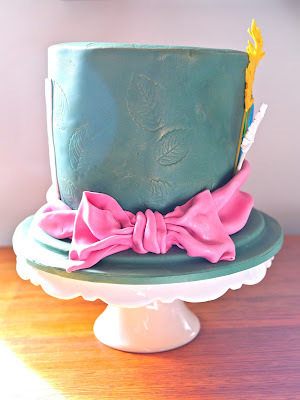 Moving away from fondant work (which I do love, but takes quite a bit of effort! )...here're some pretty buttercream cakes. 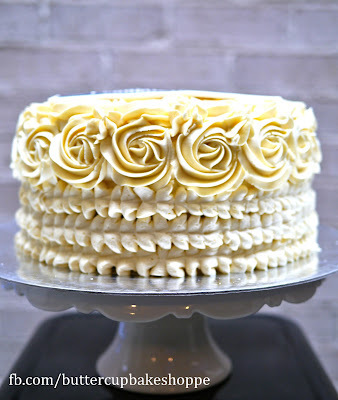 I like how buttercream gives a lovely vintage feel to the design of the cake. 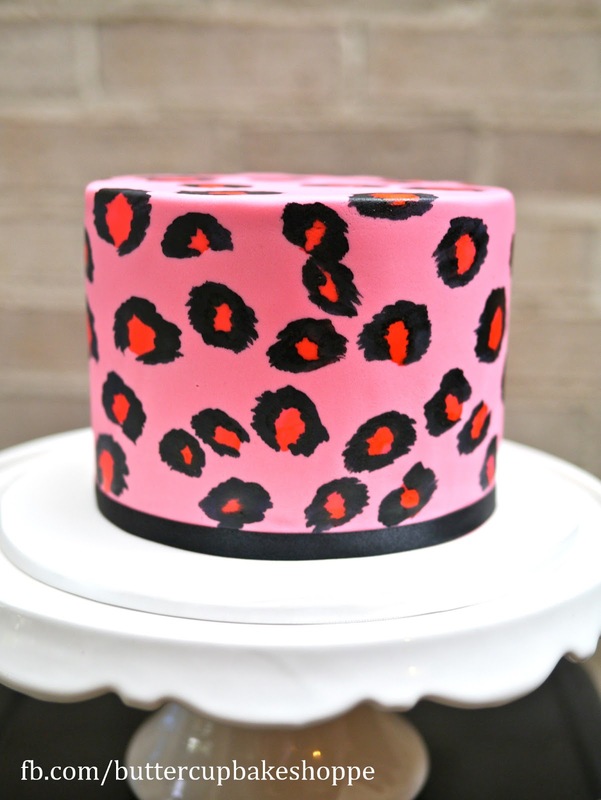 This design was supplied by the client for her own 30th birthday cake. 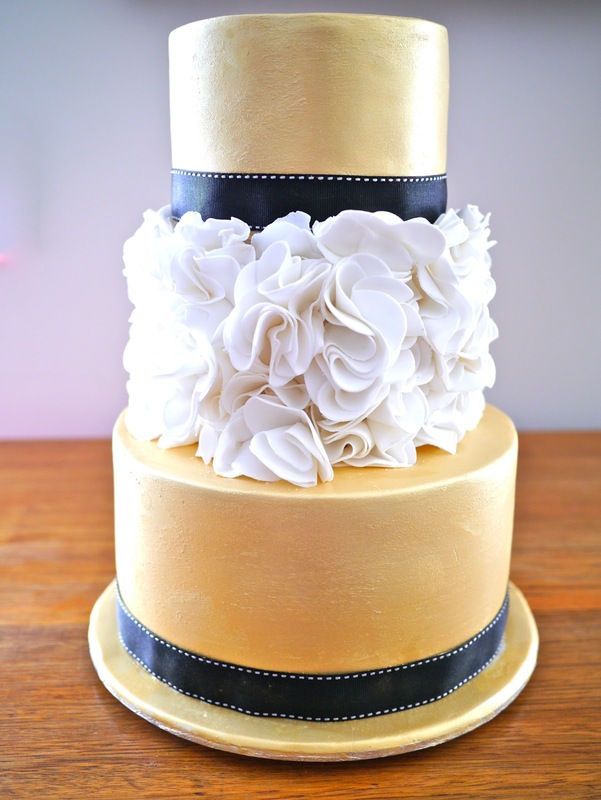 And lastly, something a little more modern - ombre chocolate work. my idol and baking goddess, Nat Paull from Beatrix in North Melbourne. It's been a deluge of Novelty Cakes recently. Ok maybe not a deluge, but these cakes have been keeping me busy, and I hope you like them! 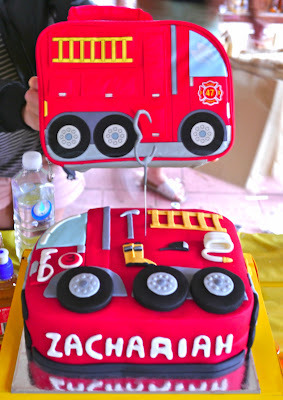 This was a cake I made for a friend's two year-old, who loves trucks! and made soil out of crushed Oreo cookies! "Now...what are we gonna do about this mess?" who was turning two as well! We popped his favourite Duplo men on top, and I created the Lego brick wall. I love creating stories out of their favourite toys! This one was a doozy. I'd been planning this for months for a client's order. 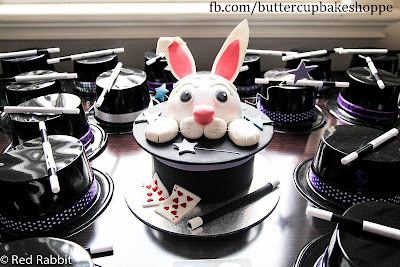 It was for her daughter's birthday, which had a magic theme! And these tiger cupcakes were for her school classmates. It was a massive week! 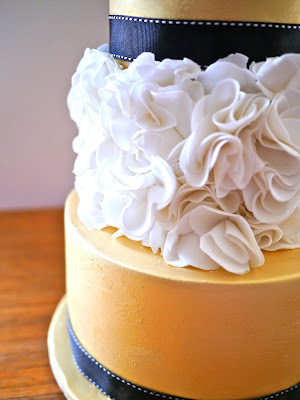 Made this cake at a cake class last month...LOVED making the ruffle flowers! 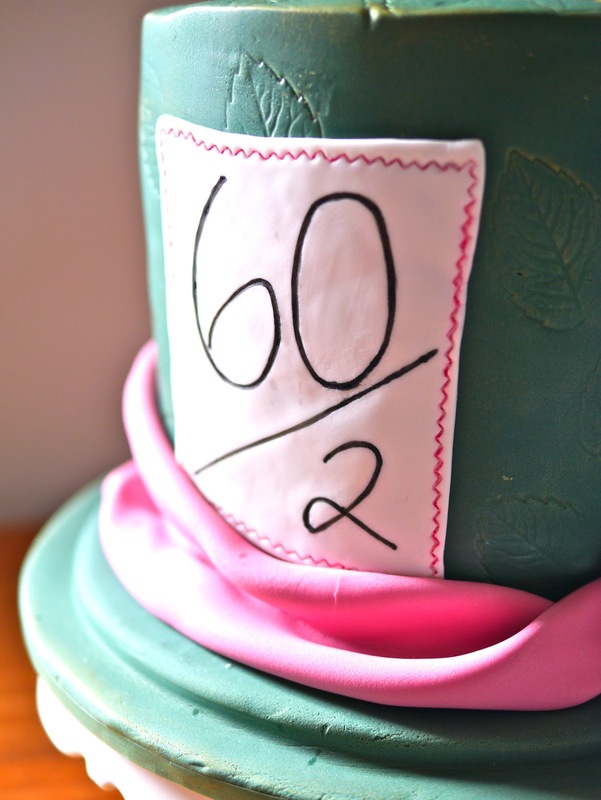 Mad-hatter cake for an Alice in Wonderland 30th birthday party. It was a husband-and-wife co-hosted 30th birthday party...hence the placard lol. LOVED making the feathers and the peacock's "eye". The cake was covered in dark emerald fondant and brushed with gold for that antique look. I also embossed leaf patterns in it, since the original hat also paid homage to nature. 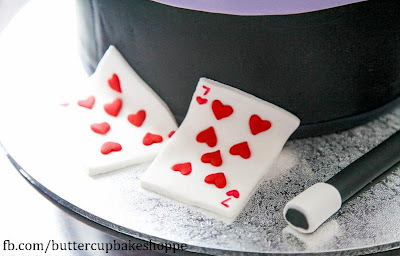 The cake had SIX (count 'em!) layers of chocolate fudge cake and dark chocolate ganache! 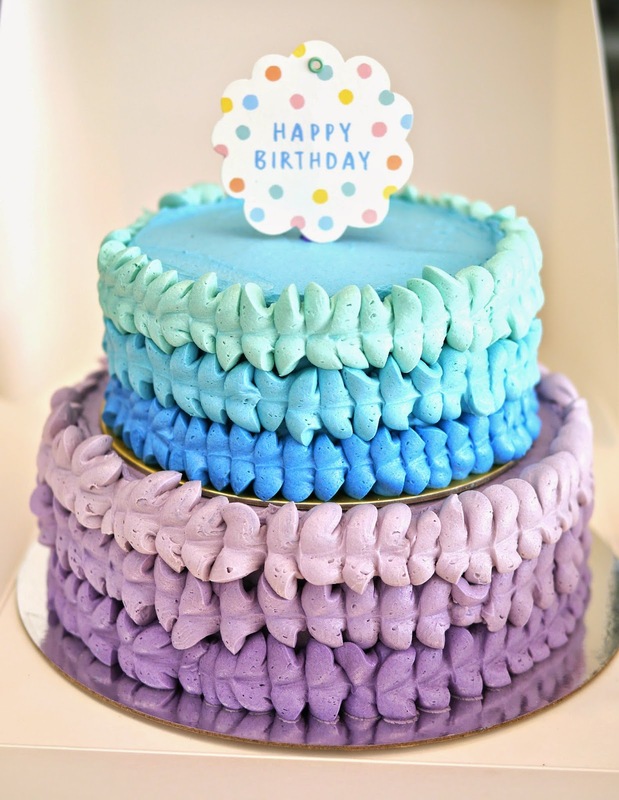 It took me almost 10 hours to make, including baking time!! 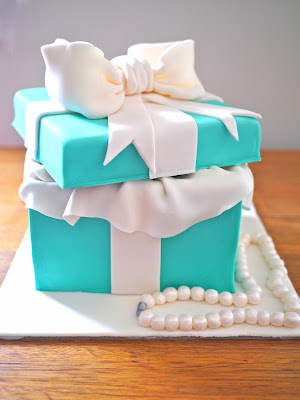 A few weeks ago I made this lovely Tiffany box cake for a client. 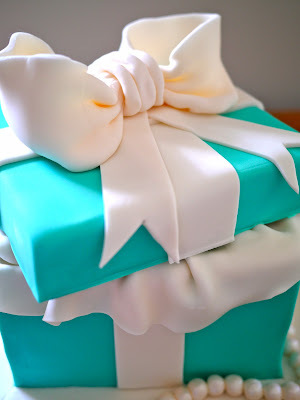 She wanted something classy and elegant for her mum's birthday, and after a few sketches we finalised it with the iconic box and its ribbon, plus a string of pearls around it. Surprise!! A pearl bracelet to match the pearl necklace! 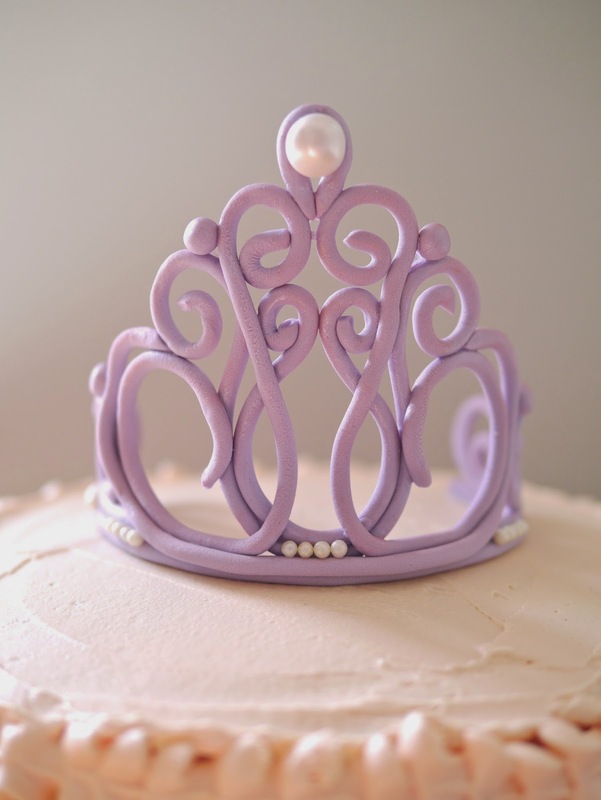 Other than kids birthdays, I do find myself making lots of 30th birthday cakes, especially for Kids at Heart. Take, for example, this Lego cake for a friend who's also my son's best adult friend (other than his own dad of course!) because of their shared love for Lego. I often find myself decorating cakes til the wee hours of the morning, and the cake below was no exception. Even though I had a darling friend who helped me punch the tiny circles, I still only completed the elephant-themed cake above at 3 in the morning. Mostly because we had to do the middle strip THREE frickin' times because it kept falling off due to its weight. That's THREE HUNDRED TEENY WEENY CIRCLES to cut out, people, THREE HUNDRED! But it was worth it, I was really pleased with the result when I looked at it with fresh eyes the morning after (albeit having had only 4 hours of sleep!) and I think the client did too! I just wanted to send you a quick note to say thank you for the beautiful cake and cupcakes! 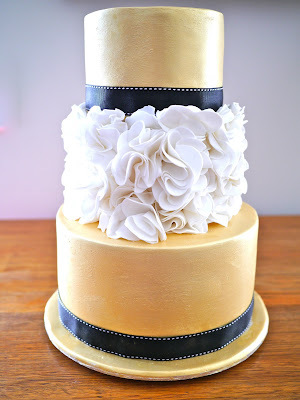 They looked absolutely exquisite, and tasted just as good! It was Henry’s first taste of chocolate, so I am afraid that we have now set the standard very high!!! Thank you again, and I hope that you and your family have a very happy new year. FYI, I'd based the cake on the invite Brigid had created for her 1 y.o., Henry, who's a bona fide rock star. 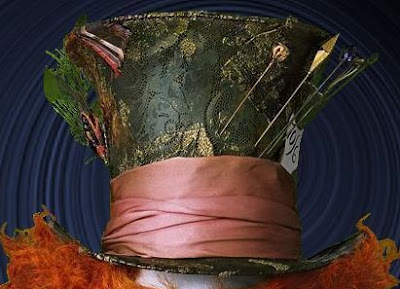 The invite had a photo of him rocking a pair of baby sunnies, I could imagine him cruising the park in his Bugaboo!